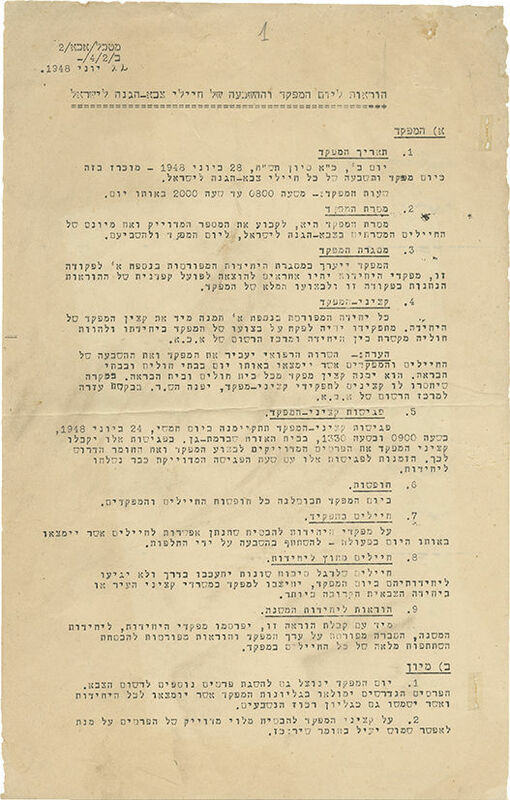 General Staff document – "Instructions for IDF Soldiers' Cencus and Oath Ceremony". June 22, 1948. The instructions specify the date, goal and framework of the ceremony. Its aim was also to collect soldiers' personal details, for which census forms were attached to be filled in by the soldiers. leaves, 33 cm. Good condition. Stains and folding marks. Tears and pinholes to margins (some restored).